Dropping stitches is usually a stressful event since under normal circumstances we do not want stitches to drop. However, there are stitch patterns out there that make you drop stitches on purpose. Yes, you read right. 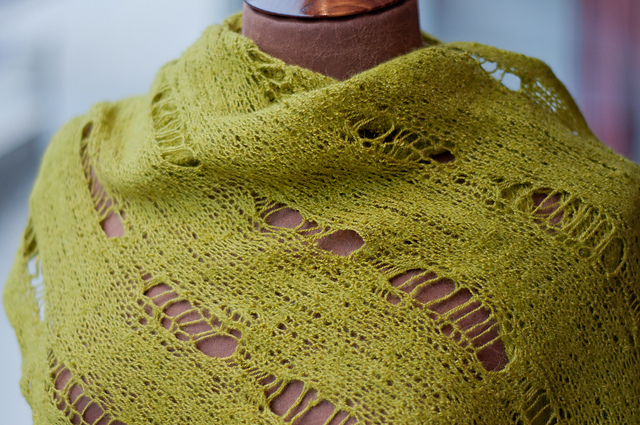 On these occasions you really want to drop the stitches (or, as you will see, yarn overs) to achieve an airy, loose pattern that you can use to create different effects. 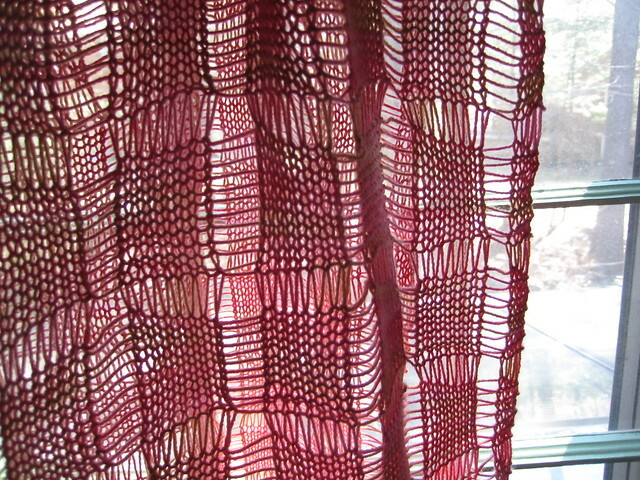 One pattern that makes use of this technique is the ever so popular “Clapotis” by Kate Gilbert which celebrates its 10th birthday this year. Picture from here. Close up of dropped stitches. Another example for achieving an interesting fabric using dropped stitches is the “Harpswell Apron” by Pam Allen. Stitches get dropped after a certain number of rows alternately. Both of these designs are in spite of the dropped stitches structured knits, yet they have an airy feel due to the gaps that are created. Another way to use dropped stitches is to achieve a deconstructed look, meaning yes, it is a garment but looks quite different from what we usually expect. “Les Miserables” by Cynthia Parker uses exactly the same technique, yet the deconstruction is enhanced by slightly felting the knitted fabric. 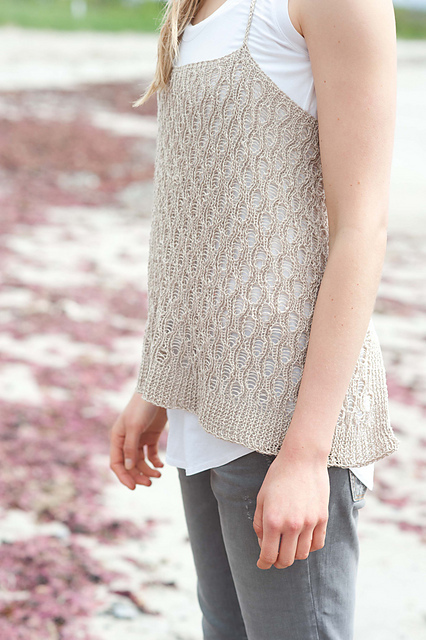 The “Dropped Stitch Cardigan” by Erica Patberg makes excessive use of dropped stitches with a quite dramatic effect. Another example for a deconstructed look. The other way of ‘dropping stitches’ is to work elongated stitches by dropping yarn overs from the row before. 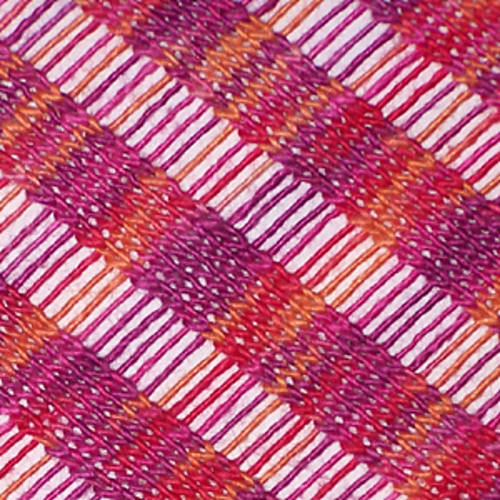 One can achieve an even row of long stitches or a wavy pattern depending on the number of yarn overs worked. #13 Drop Stitch Scarf by Laura Bryant (published in Vogue Knitting Spring/Summer 2009) makes use of both techniques – you drop stitches and have dropped yarn overs forming elongated rows which results in a light, airy fabric that makes for a lovely summer scarf when knit in a light summery yarn. As you might have seen, Melissa just finished a design making use of the dropped stitches also. Shibui Twig gives it a textural quality, yet it is also light an airy. 1SS15 | Tier by Shellie Anderson. Sample is now in store! 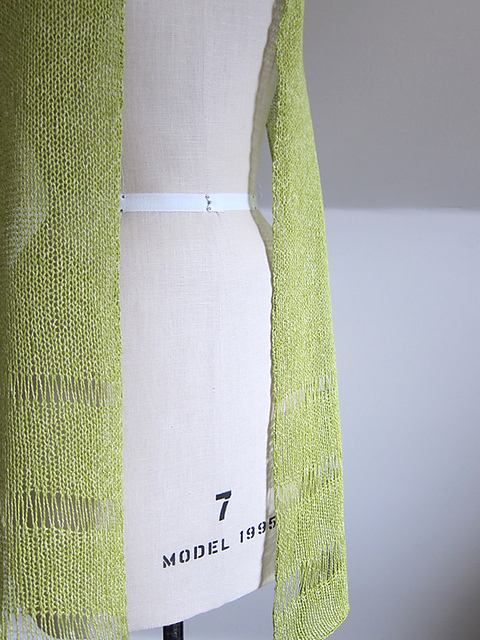 I am currently knitting the “Spring Lace Infinity Scarf” by Purl Avenue – knit in Shibui Linen the lace pattern combined with dropped stitches makes a for a delicate fabric. A class for this particular pattern starts on Monday and there are a few spaces left, if you feel so inclined! I have chosen only a few from a wide selection – check out ravelry.com for any number of possible designs and make your pick as you please!